1. 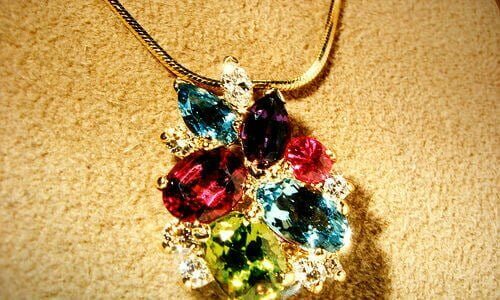 Create pendant piece by attaching birthstone with acrylic glue and allow to dry. 3. Attach steel necklace extender lobster claw to end of chain with round nose pliers. 4. Fixed pendant on the center of the chain and you’re finished! These also make great gifts where you can add your own decorative flair. Birthstones are a safe bet to be loved by any recipient, so don’t be afraid to add on some extra style to make it unique.